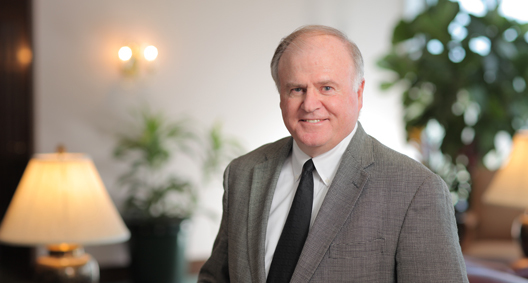 Tom Ball practices business law with an emphasis on real estate and regulatory matters. A strong advocate for his clients, Tom's representation of startup companies and legacy companies often leads to long-term relationships that are beneficial to his clients and his practice. A frequent lecturer for The Florida Bar Real Estate Certification Course, Attorneys Title Insurance Fund General Assembly, Orlando Regional Realtor Association, Mid-Florida Regional Multiple Listing Service, and the Orange County Bar Association Law Symposium, Tom is highly involved in a variety of bar association and community activities. He has also authored chapters of Florida Real Property Litigation and Professional Liability of Lawyers in Florida manuals and is, on behalf of The Florida Bar, co-author of the bar-approved standard form residential purchase and sale contract. Represented The Nature Conservancy (TNC) as the holder of property in the Florida Everglades sold to the government by The St. Joe Company. Served as negotiation team leader for the interests of TNC, the State of Florida and the U.S. Department of the Interior, in the acquisition of 56,000 acres of land for restoration of the Everglades. The acquisition led to further government transactions with other sugar cane companies. Serves as general counsel to a regional multiple listing service. The representation began more than 25 years ago in connection with its formation, operation and expansion. The service now has over 35,000 real estate licensee members representing 15 associations and serving 12 Florida counties. Serves as general counsel to a publicly traded energy company, which is the outgrowth of a continuing client representation that began more than 40 years ago. Represented a family-owned 16,000-acre ranch against an eight-year multiparty federal and state litigation alleging securities and real estate fraud. This complex litigation was resolved in favor of our client. Represented local landowners in connection with a 20-year effort to plan and obtain governmental approval, bond financing and development of a new town center for a Central Florida community. Negotiated the financing, selection of public areas and development.